1. Insideous presentations of ankle physeal injuries? 2.Importance of arthroscopic assisted reduction and fixation of ankle physeal injuries? 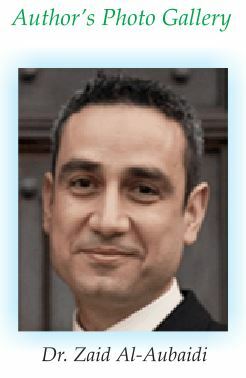 Orthopedic surgical department, Pediatric division, Odense university hospital/ Denmark. Introduction: The risk of growth arrest following paediatric ankle fractures type 1 A is very high. 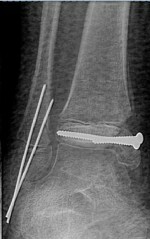 Therefore all attempts should be done to anatomically reduce this kind of fracture. The advances in ankle arthroscopy have brought the possibility to reduce these fractures under direct vision, without the need of capsulotomy. The purpose of this paper is to stress the importance of the use of arthroscopically assisted reduction of type 1 A fractures. 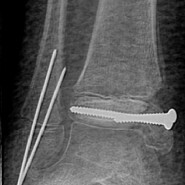 Case Report: We describe two cases with SH type IV fractures of the distal medial tibia, one treated with open reduction and percutaneous screw fixation and the other treated with arthroscopically assisted reduction and percutaneous screw fixation. The first case ended with severe growth disturbance, while the second gave a very good result. Conclusion: The use of arthroscopically assisted reduction of type 1 A fractures should be considered to ensure anatomical reduction.